Every mom knows that a good fried chicken nuggets recipe is a must when you have kids at home. 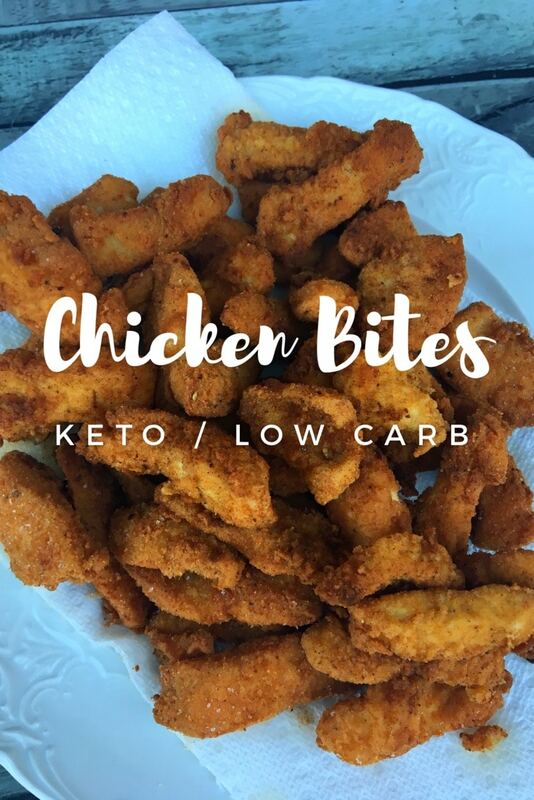 My Keto Fried Chicken Recipe is so easy, delicious, and perfect for doing these yummy chicken bites or even whole pieces of chicken if you prefer. Add this to your recipe collection to keep everyone happy on chicken night. I have been craving fried chicken lately. I knew that I could make a keto fried chicken version. However, I’ve always thought that making homemade fried chicken would take more energy and effort than I’m willing to give. I’m so glad I pushed through my no tonight because it turned out good and was much easier than I imagined. I felt like I was having a good ole southern dinner at my grandmother’s house. 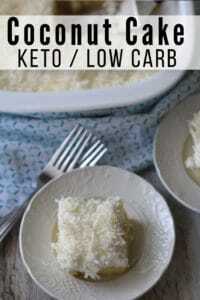 If you don’t like coconut, you will probably want to use almond flour instead as there is a hint of a coconut taste. No one in my family except me noticed the coconut taste, but I have very sensitive taste buds, so maybe it was just me. I love coconut, so I didn’t mind. Tip: I bought the thin cut chicken breasts so that they would be easier to cut into chicken bites with my poultry shears. I’m really weird about touching raw meat. I avoid it at all costs. If you are like me, poultry shears will save your life. I’ve included step by step directions below. You can scroll down to print the full recipe, but I have included a great visual description to help those like me that do better seeing the process than reading it in a recipe. After I cut up the chicken, I cracked three eggs and added 1/4 cup of heavy whipping cream to a bowl and allowed my chicken to soak for a few minutes. To the coconut flour, I added garlic salt, paprika, pepper, and seasoning salt. I dredged each chicken bite in coconut flour and covered it on all sides really well. Using a bowl or plate with an edge is really helpful in keeping your kitchen somewhat clean. Otherwise, I’d have flour everywhere. Using a candy thermometer, I made sure my coconut oil was at 335 degrees before adding chicken. I cooked the chicken in 4 separate batches to make sure the chicken would cook evenly. As soon as it came out of the oil, I placed the Fried Chicken Bites on a paper towel on a plate and sprinkled a little extra salt on top. 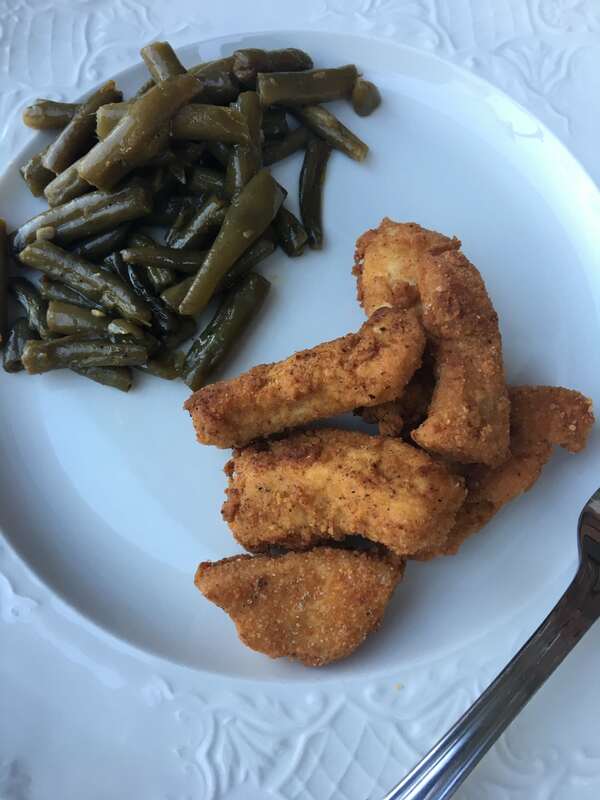 I served the Fried Chicken Bites with my Southern Green Beans for a fabulous dinner. oil for frying - I used coconut oil but you can also use lard. 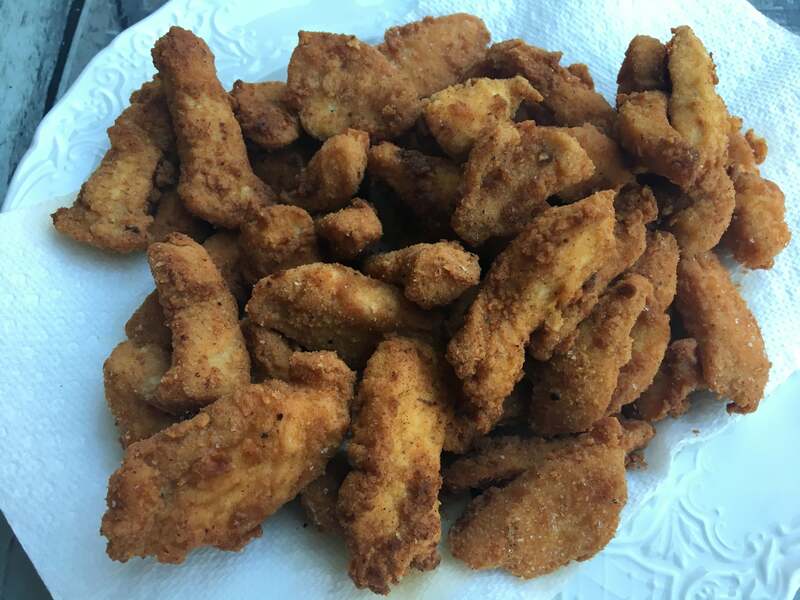 Cut boneless skinless chicken into nugget sized bites. In a bowl, combine eggs and heavy whipping cream. Stir until combined. 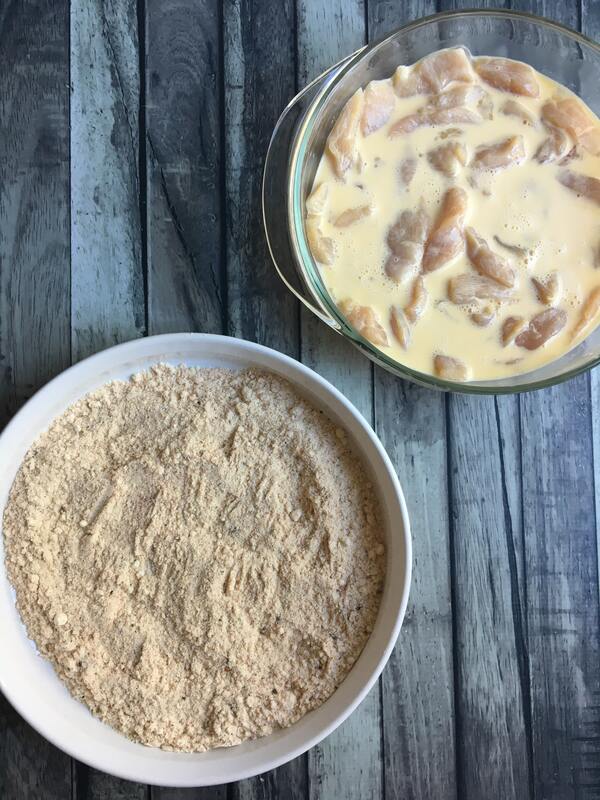 In a shallow pan, add chicken nuggets to the egg/heavy whipping cream mixture and set aside. On a large plate add coconut flour, paprika, garlic powder, salt, and pepper. Mix with a fork to combine. 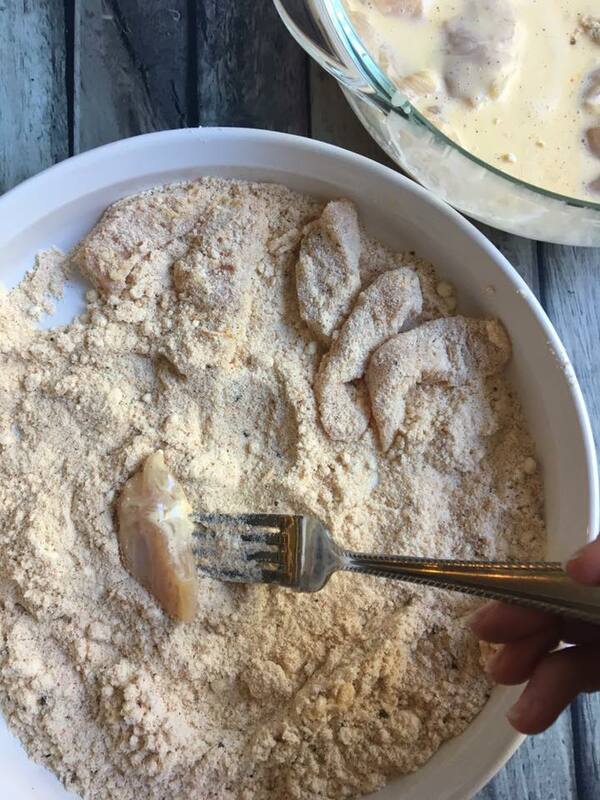 Individually, dip each piece of chicken into the flour mixture to batter the chicken. In a cast iron skillet, heat about an inch of coconut oil until it reaches 335 degrees. I used a candy thermometer to measure. Drop chicken in hot oil and turn over after 3 minutes and fry on the other side. Each batch took approx 4-5 minutes to cook but could vary depending on the size of your chicken. 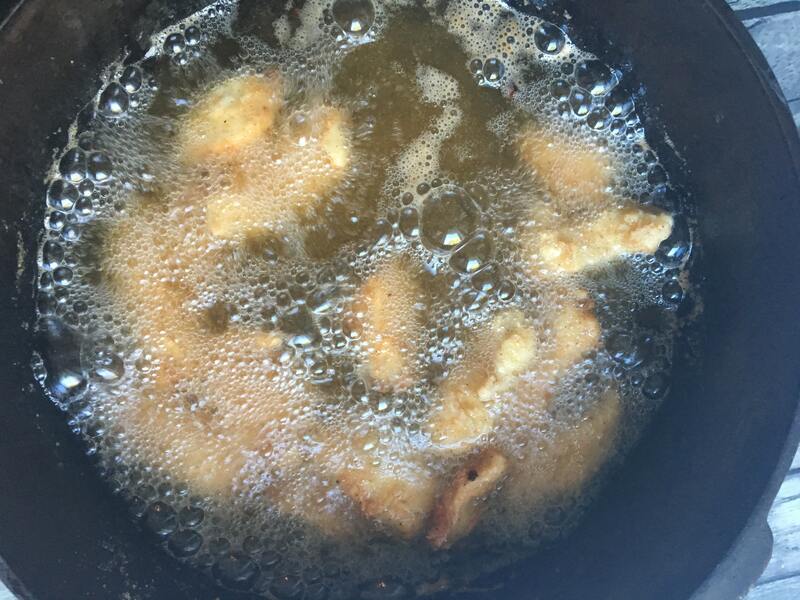 Do not overcrowd your frying pan as it will reduce the temperature of the oil and the breading won't stick as well. Once each batch is done remove from oil, and fry the next batch. Place fried chicken on a plate on top of a paper towel to absorb excess oil. Serve with homemade sugar-free low carb bbq sauce. Optional: Sprinkle a little extra salt on top of each batch as you put it on the paper towel. 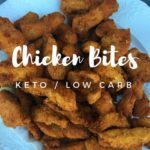 I know you are going to love my easy keto fried chicken recipe, but you’ll want more variety in your meal plan. 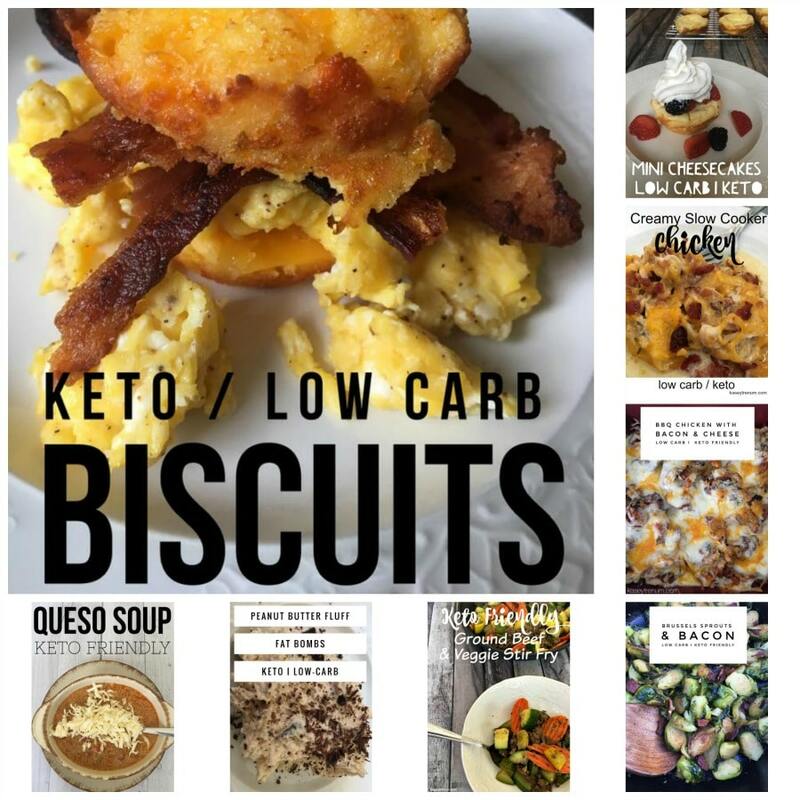 Check out our complete list of amazing recipes in my Keto Recipe Index. 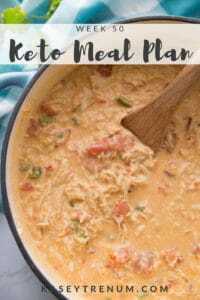 You can see a few more of my favorite kid-friendly keto recipes linked below! I did not include that info for this recipe as it was impossible to figure out with so much left over oil from frying, the breading, and the egg wash.
Will this work in an air fryer? I haven’t tried it, but it would probably work. There is no measurement on the HWC. Is it 1/4 cup? Yes. Sorry! I am updating the recipe now. Thanks! If you marinate the chicken in pickle juice it tastes just like chik-fil-a! I absolutely love these — thank you so much for the recipe. I must make these once a week – they are so easy and I always have all the ingredients. You are so very welcome! Glad you enjoyed it. I’m not sure what you are asking. Besides dipping it in the egg mixture then the flour before frying I didn’t do anything else. Kasey ~ I feel the need to tell you how much I appreciate your generosity. Going keto 6 months ago changed my kitchen completely. Without your lovely recipes and guidance, I am not sure that I could have maintained this lifestyle. I now have a nice arsenal of “specialties” to allow my husband and me to eat healthy, tasty food. 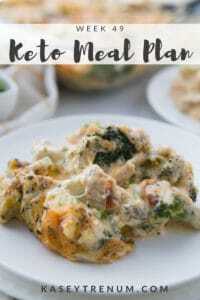 (Being a supportive spouse, my always-thin husband eats keto with me; he’s even lost some weight, darn him!) Getting off the sugars is hard, but there is reward when my grown son remarks that he has never seen me so thin – and he’s right. I currently weigh less than when I became pregnant with him 48 years ago! I owe my renewed health to you. Thank you and may Our Creator continue to bless you and yours. Besty, I am speechless. Thank you so very much for taking the time to comment with such encouraging and supportive kind words. I can’t tell you how much it means to me. I am so proud of you and your hard work! May God bless you and your family. Could you use steak and do steak fingers? I’ve only tested this recipe with chicken but it sounds good. I’ve only tested it as is, but I’m sure almond flour would work just fine. Another great option is crushed pork rinds. 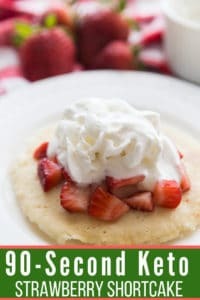 I tried that last time I made them and it was delish! I was going to do pork rinds but my husband convinced me they would just make a soggy mess. Can you use another oil besides Coconut oil? I don’t like the coconut flavor it gives when using it in recipes. 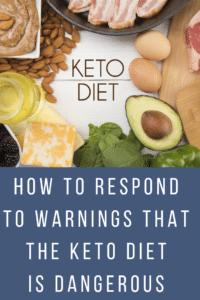 There are other keto friendly oils you could try like avocado oil or lard, but I’ve only tested it as is.